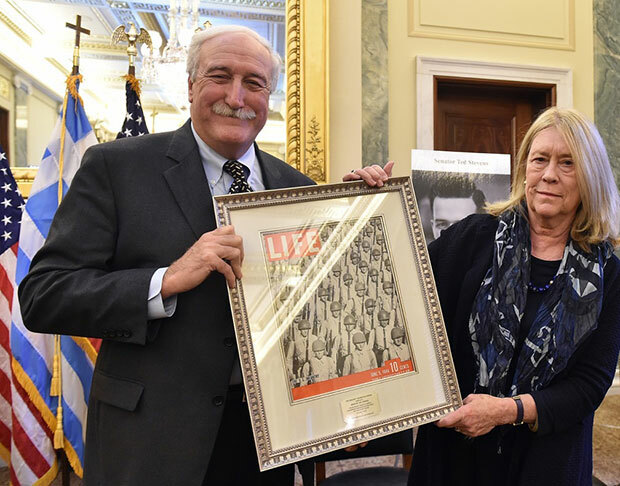 On October 27, the Washington based OXI Day Foundation honored three distinguished World War II veterans – a Greek-American, a Greek, and an American – with the Greatest Generation Awards at a moving ceremony. This year, they also honored a Korean War veteran with the first annual Jaharis Service Award. 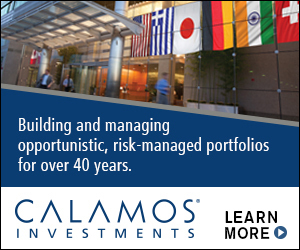 While the ceremony usually takes place at the National World War II Memorial, this year, due to inclement weather, it was held on Capitol Hill in a Senate Armed Services Committee hearing room. 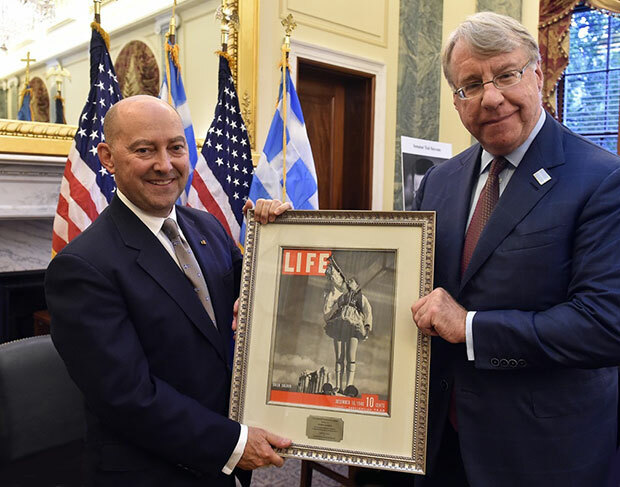 Jim Chanos introduced Admiral Jim Stavridis, former Supreme Allied Commander of NATO Global Operations, who accepted the Greatest Generation Award on behalf of his father, Colonel George Stavridis. 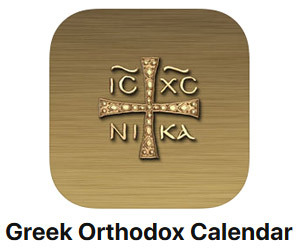 Previous recipients of this Award have included: James Moshovitis (2015); Nicholas J. Bouras and Sam Bouras (2014); Lt. Col. Christopher Mehiel (2013); Brig. 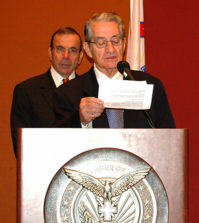 Gen. Mike P. Cokinos (2012); and Andrew A. Athens (2011). 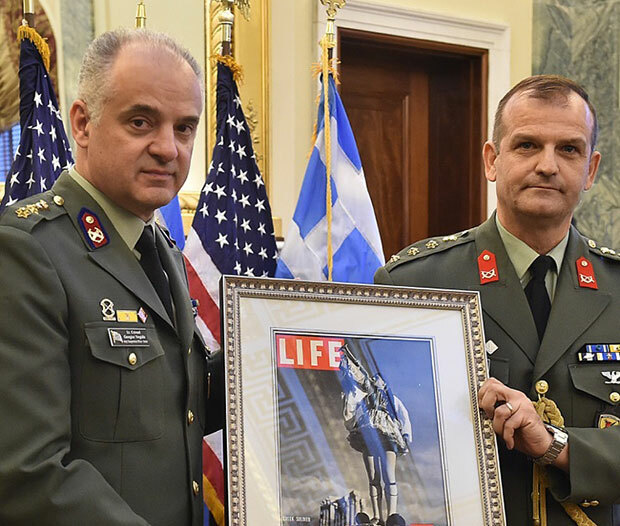 Colonel Panagiotis Kavidopoulos, Defense Attaché, Embassy of Greece, introduced Dimitrios Itsios, the heroic Greek who posthumously received the Greatest Generation Award. 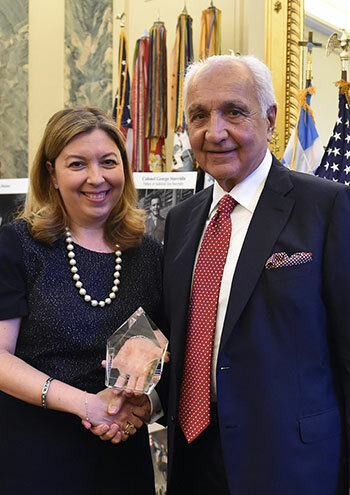 Lieutenant Colonel George Vergidis accepted the award on behalf of the Itsios family. 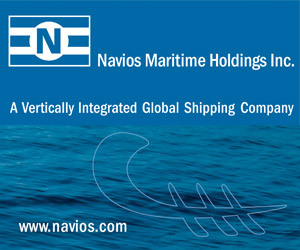 Previous recipients of this Award have included: General George Douratsos (2015); Admiral Ioannis Toumbas (2014); Lt. Gen. Konstantinos Korkas (2013); Antonios Kounalakis (2012); and Panagiotis Sakellaris (2011). Sean O’Keefe, former Administrator of NASA, introduced former Senator Ted Stevens, the American veteran who posthumously received the Greatest Generation Award. The late senator’s wife, Catherine Stevens, accepted the award on his behalf. 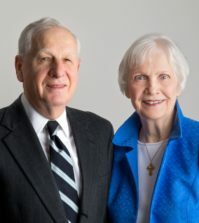 Previous recipients of this Award have included: former Senator, astronaut and American hero John Glenn (2015); former Congressman Ralph Hall (2014); the longest-serving Member of Congress John Dingell (2013); former Chairman of the House Foreign Affairs Committee Ben Gilman (2012); and former nominee for President of the United States and Senate Majority Leader Bob Dole (2011). 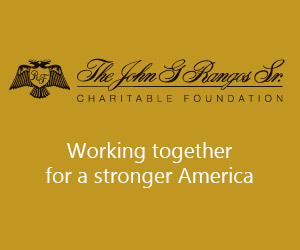 Peggy Sotirhos Nicholson, Executive Director of the Jaharis Family Foundation, introduced John Payiavlas, the first recipient of the Jaharis Service Award. Payiavlas, a Korean War veteran, was recognized for his dedicated service to his country and to the community in the spirit of Michael Jaharis. 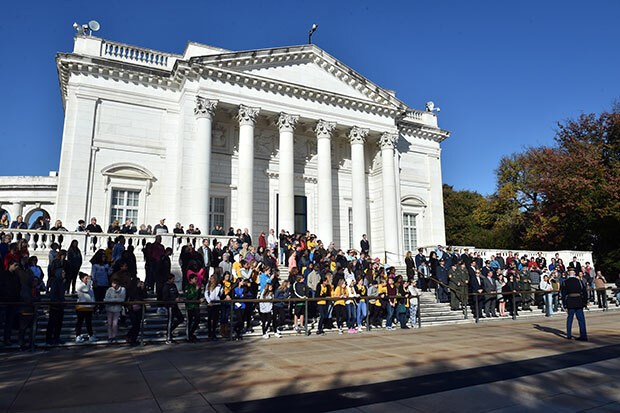 On October 28, the Foundation participated in a poignant wreath laying ceremony at Arlington National Cemetery’s Tomb of the Unknown Soldier. 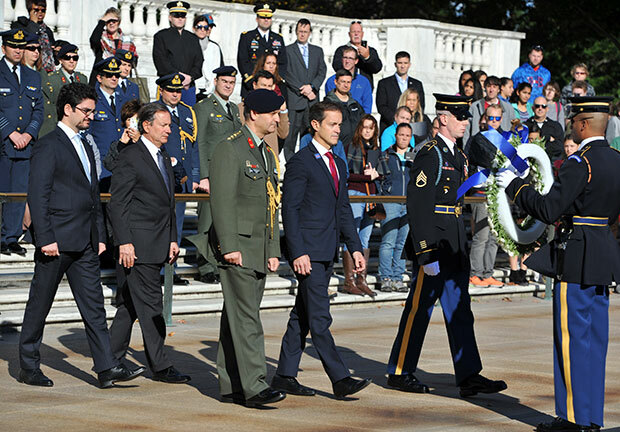 The wreath was laid by Washington Oxi Day Foundation Executive Director Mike Manatos, the Greek Embassy’s Defense Attaché Colonel Panagiotis Kavidopoulos, Foundation Treasurer Leon Andris and Cyprus Embassy Consul Konstantinos Polykarpou.